President Dianne F. Harrison speaks to more than 100 CSUN leaders, including department chairs, deans of the university’s nine colleges and library, and administrators at their annual retreat, Aug. 22, 2016 at Cypress Hall. Photo by Luis Garcia. Provost Yi Li speaks to more than 100 CSUN leaders, including department chairs, deans of the university’s nine colleges and library, and administrators at their annual retreat, Aug. 22, 2016 at Cypress Hall. Photo by Luis Garcia. 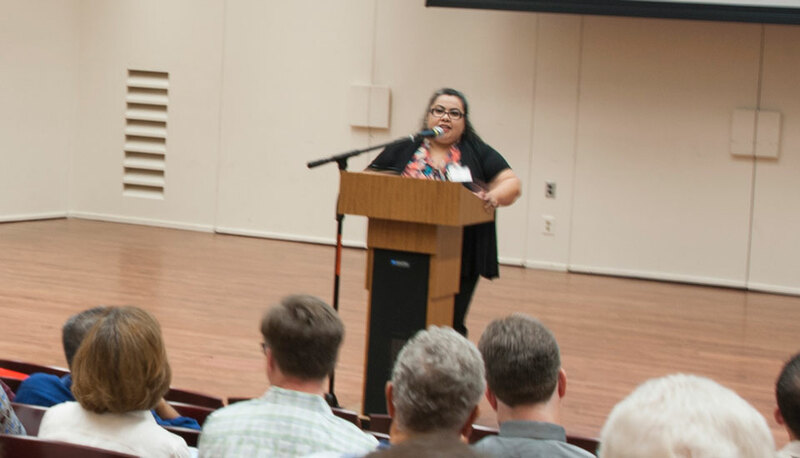 Keynote speaker Marcela Cuellar, an assistant professor of education at UC Davis, speaks to more than 100 CSUN leaders, including department chairs, deans of the university’s nine colleges and library, and administrators at their annual retreat, Aug. 22, 2016 at Cypress Hall. Cuellar discussed the rapid growth and potential of minority-serving institutions. Photo by Luis Garcia. California State University, Northridge academic and administrative leaders gathered Aug. 22 to prepare for the 2016-17 academic year — focused clearly on student success and boosting graduation rates. 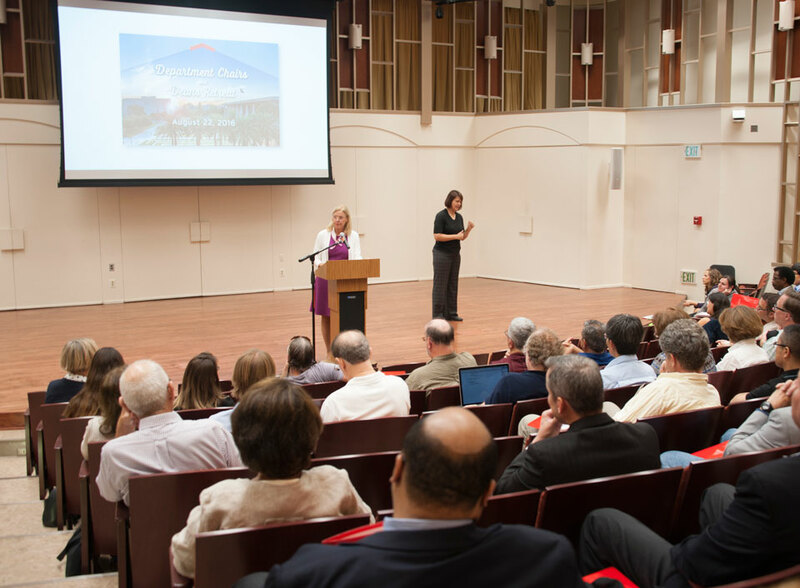 More than 100 leaders, including department chairs, deans of CSUN’s nine colleges and library, and administrators, met in Cypress Hall for their annual retreat. 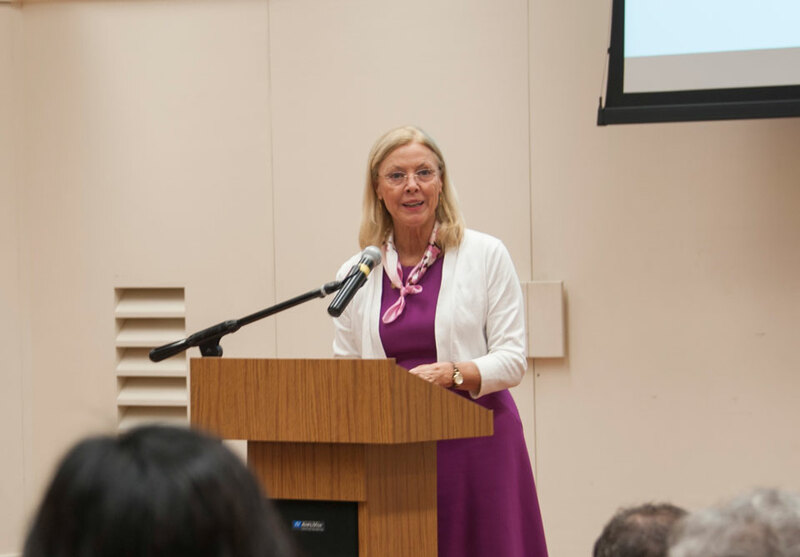 In her address, the president shared graduation goals for the year 2025, set forth by the California State University (CSU) chancellor’s office and the CSU board of trustees. For example, CSUN aims to increase the four-year graduation rate for students who start as freshmen from its current 13 percent (a number Harrison called “dismal”) to 30 percent by 2025. As they prepare schedules, faculty staffing and classes for the fall semester (which began Aug. 27), department chairs were urged by the president to consider redesigning courses in the future, as well as working with faculty to close achievement gaps for underrepresented minority students. In the 2025 graduation goals, CSUN aims to cut the achievement gap for those underrepresented students from the current 11 percent to zero. The retreat’s sessions included breakout groups focusing on undergraduate and graduate policies, accessing data, and faculty and staff rights. Faculty members from across the university also had the opportunity to meet new Dean of the College of Health and Human Development Farrell J. Webb, as well as a number of new department chairs. Keynote speaker Marcela Cuellar, an assistant professor of education at UC Davis, spoke to the group about the rapid growth and potential of minority-serving institutions — particularly Hispanic Serving Institutions (HSI) like CSUN and those that serve students of Asian-American, Native American and Pacific Islander heritage — in California and across the nation. “HSIs have doubled from 1994 until now, and they represent 13 percent of all higher education institutions in the U.S.,” Cuellar said. Chief Anne Glavin of CSUN’s Department of Police Services (DPS) spoke to the leaders about the importance of preparing themselves and their students for an “active shooter” emergency on campus. She showed a short video simulating such an event at CSUN, recently filmed on campus and produced by students and staff in the Department of Cinema and Television Arts and DPS. She urged all faculty to show the video in their classes and discuss it with students. The video and discussion guide are available on the DPS web page. 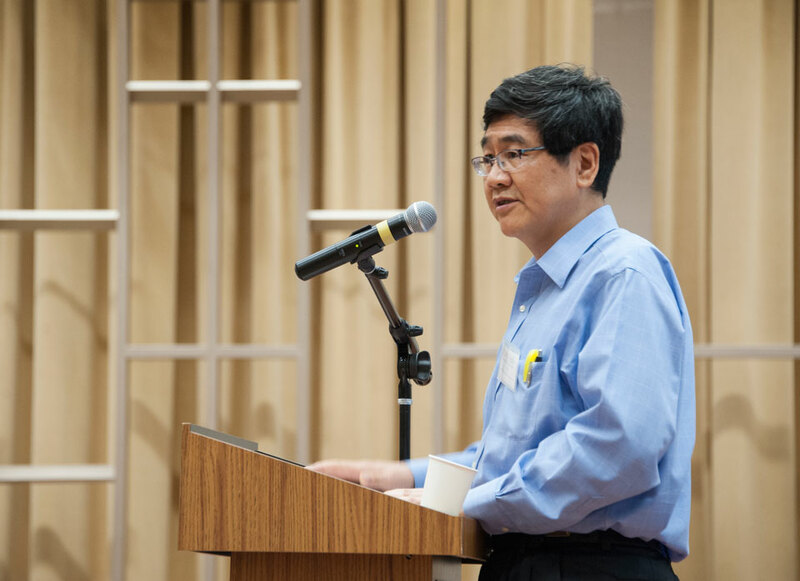 In the afternoon, Provost and Vice President for Academic Affairs Yi Li wrapped up the all-day retreat with a discussion with the faculty members and leadership. He also emphasized student success and increasing graduation rates, as well as the campus priorities of supporting research and diversity.